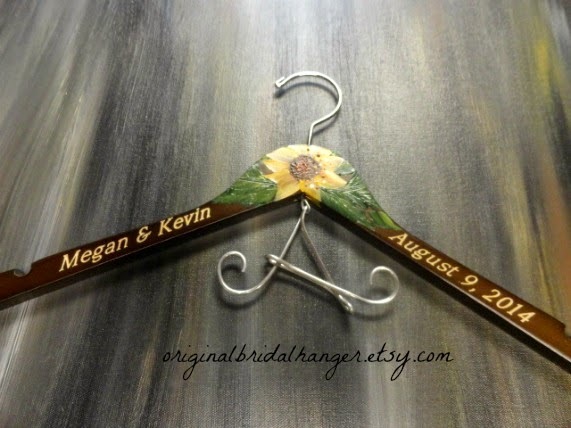 Wedding dress hangers are a must have now for weddings. I am offering a great sale at 20% in my Etsy shop. The sale will start today, 9/23/2014. It will run through 10/22/2014. The sale also included engraved bridal hangers. These are nice to add more personalized information, which cannot be created in the wire. 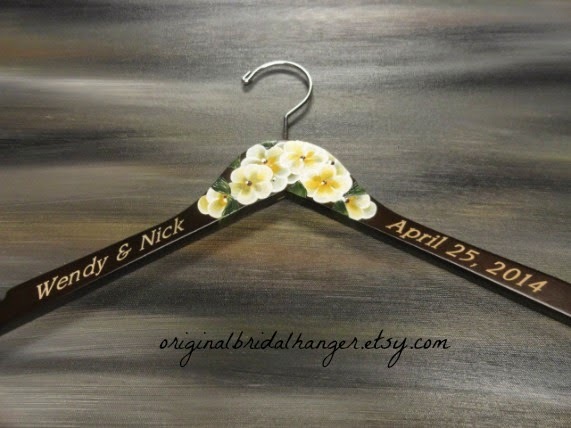 Wedding hangers make wonderful bridal shower gifts. 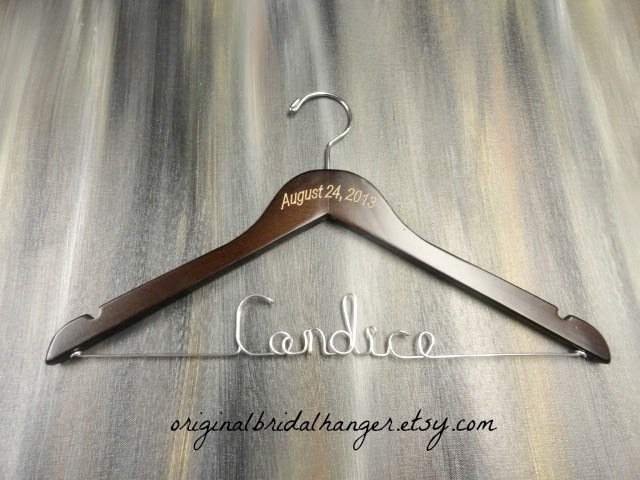 My personalized hangers can be created with or without wire. They can be painted or plain. It is all of up to you. They will be make keepsakes for years to come. What a beauty even without name created in wire. The hanger is engraved with all the special information. The top has a beautiful flower painted on it. Just picture your gown hanging on this coat hanger. 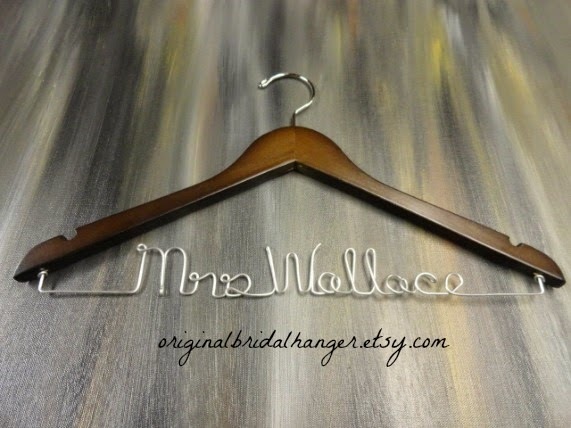 Just have the monogram wire letter added, and you have a perfect hanger for your special day. There is so much you can do to create your very own hanger, which will make a special photo prop. I hope you will take a look at my shop and see what is on sale. 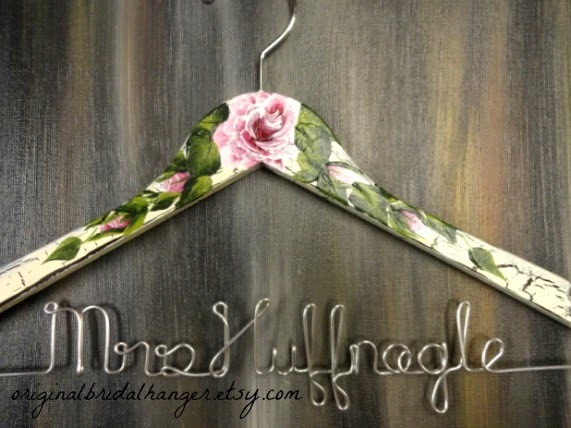 These special hangers make nice gifts for bridal showers and the holidays too. This article is nice and interesting I really like, thank you for sharing!